Looking for Bubble Soccer Balls? 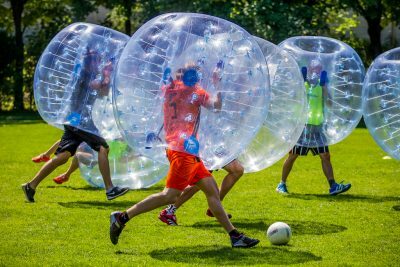 Bubble Soccer is the hottest new action sport and is spreading like wildfire around the globe, infecting more and more people with furios laughter while they are trying to stay on their feet. We understand ourselves as advocates of the sport and help people worldwide, buy bubble football balls and to start their own Bubble Soccer business by providing not only the best bubbles & bumper footballs on the market but also the knowledge and tools necessary to be successful. We believe in quality products and long term relationships with our customers. Therefore we only sell premium products to ensure high satisfaction on both sides. We are proud of the different certifications our PVC and TPU bubble balls have received and you can learn more about our bubbles’ quality here. Our high-quality materials have been tested for quality by a recognized test center and has been successfully certified. Many of our customers buy cheaply produced bubbles from online vendors and are disappointed afterwards. With us you can be sure: we only deliver the best quality in the market. 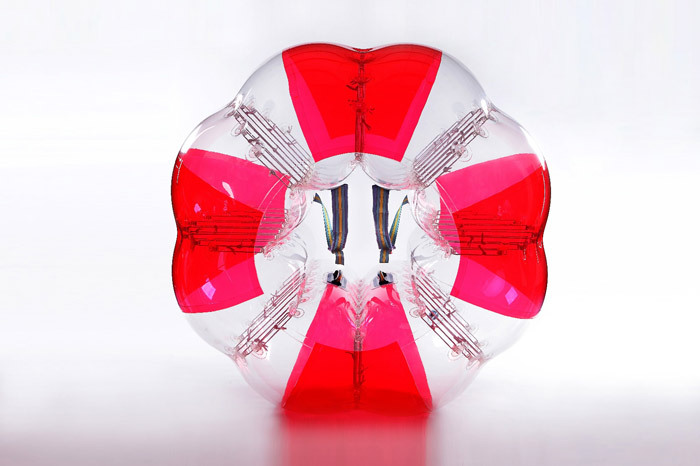 A lot has happened in the development of bubbles since the first prototypes were introduced. Still the markets are flooded with outdated bubbles which are getting sold to uneducated customers. 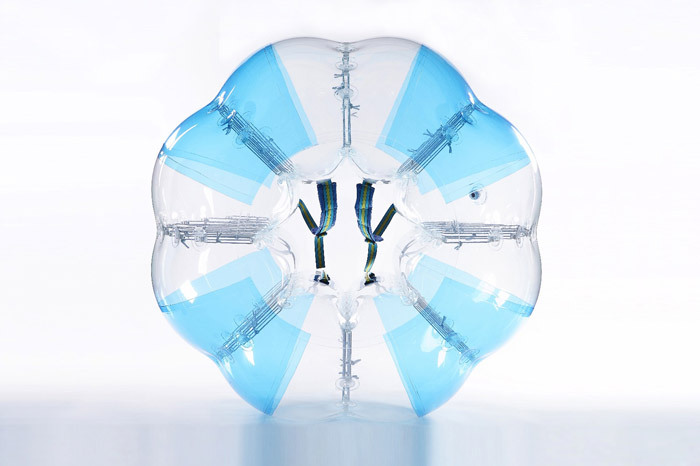 We provide only state-of-the-art bubbles with innovative features that will make your life easier. 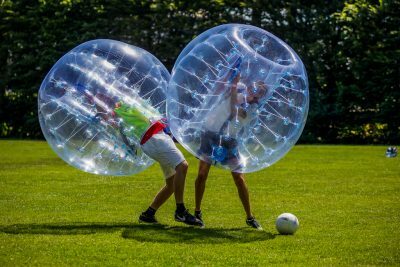 As it is our mission to bring the joy of Bubble Soccer to everyone across the globe we therefore ship all our products internationally so buy bubble football now. Depending on your location different regulations may apply, which we are happy to support you with. 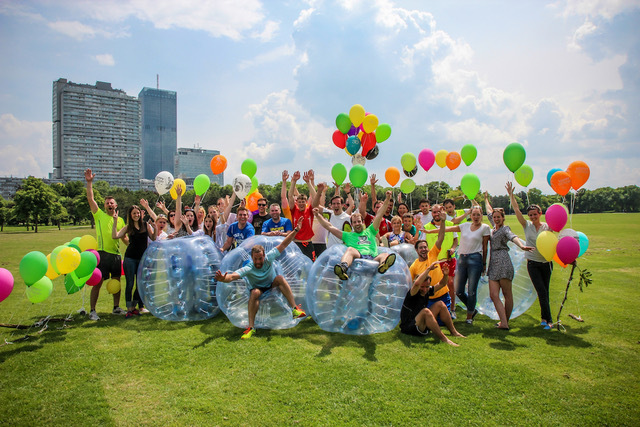 More than 10 years ago we started as Bubble Soccer pioneers in Central Europe and have been successfully organizing events and tournaments ever since. Our knowledge about the sport and its products isn’t out of a sales brochure but was rather learned the hard way. We know what we are talking about. If you buy bubble football with Bubble Allstars it is not just about the product. We achieve high customer satisfaction by understanding our customers individual needs. This is why we dedicate time and resources for consultation and leave no questions unanswered, even after the purchase. We are here for you, because we want you to succeed. The proven classic. Affordable to get and practical in use. This quality material even makes it easy to carry out small repairs yourself and provides an affordable start. Go big and get 24 Bubbles. 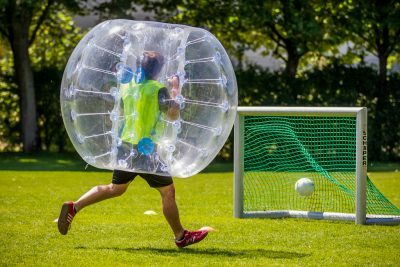 Buy bubble soccer balls just perfect for tournaments and full-day events. If are you just starting out then look no further. 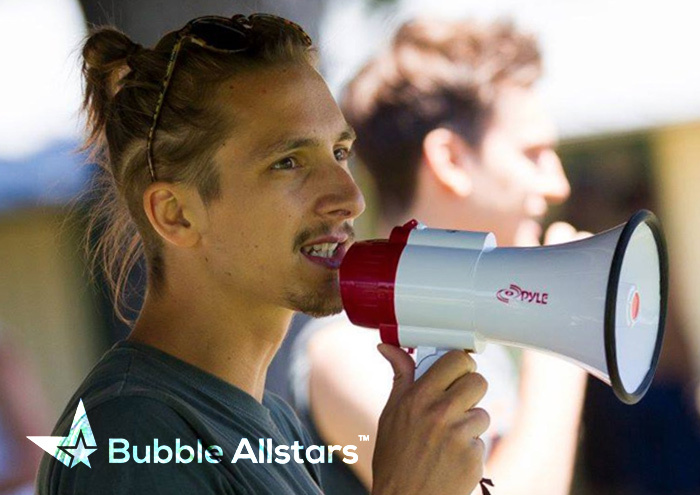 Every Bubble Allstars Package includes everything you need to successfully start your bubble soccer business. 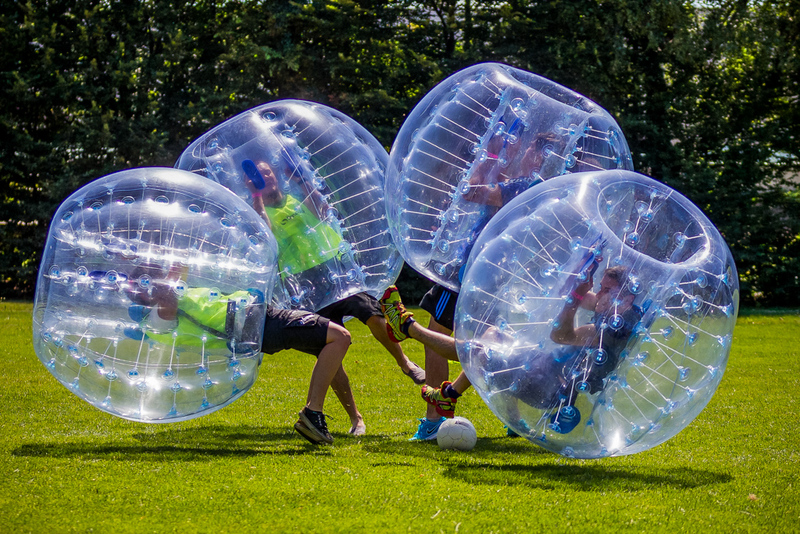 Every customer that purchased a bubble soccer set with Bubble Allstars will be granted lifetime access to our exclusive Bubble Allstars Mastermind Group that will assist you 24/7 with all your questions and challenges. Furthermore the entire Bubble Allstars Family can share their success stories and help other Bubblepreneurs to succeed and be profitable within weeks. Want to add a logo to your bubbles? If are you just starting out then look no further. 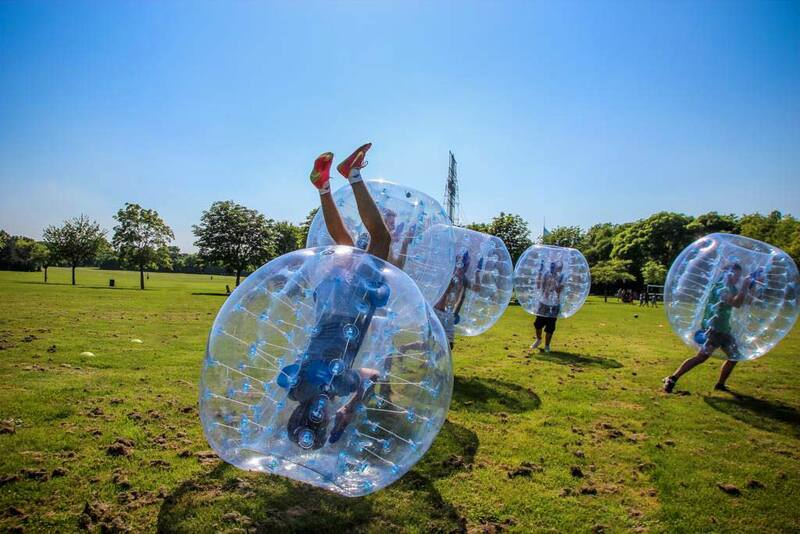 This package has everything you ever wanted and is unique within our bubble football sale. 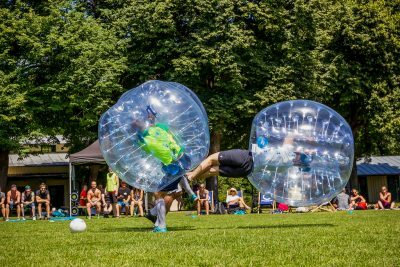 Bubble Allstars is a joint bubble soccer sale venture of bubble soccer enthusiasts from Central Europe. 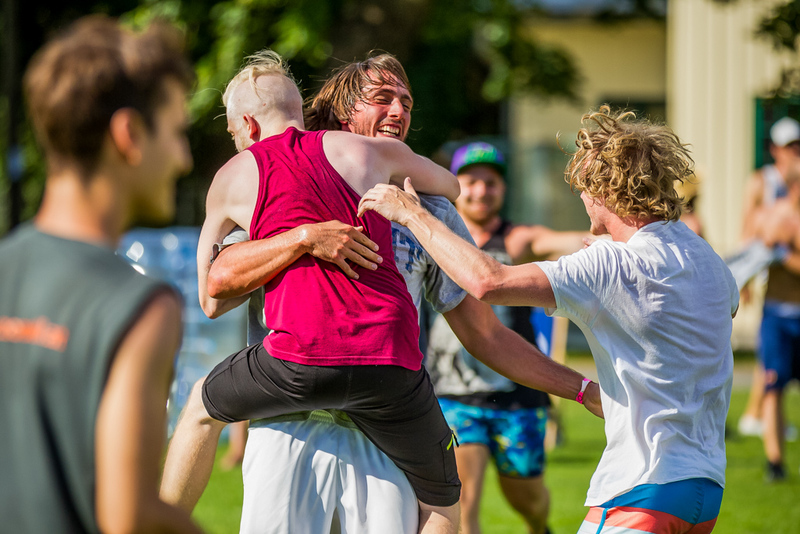 After bringing the sport to Austria and increasing its popularity by successfully organizing events and tournaments we decided to go one step further and help like minded people to do the same in their vicinity. Through our extensive collaborations with various producers and our specialization in high quality bubble-balls we are very proud of the reputation we have build for ourselves around the world. We love our team. 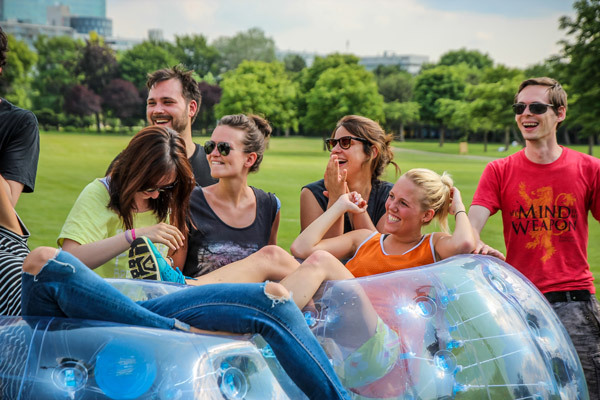 Our members are highly passionate about the sports of bubble soccer and are eager to spread the mission of fun and excitement out into the world. From product testing to quality management to sales manager, everyone always tries to give their best in order to live up to the highest expectations of our customers and ourselves. As a fan of ball sports and the constant readiness to try something new, it was only a matter of time until Paul discovered the fine art of Bubble Soccer. With a finished degree in project management and IT in his pocket, he immediately used his organizational skills to cast a few great bubble-soccer events out of his hat. If it is not in a bubble, you can find him behind the camera. Now at Bubble Allstars his task is to help other sports enthusiasts to spread this sport. Chris was a sport enthusiast from the beginning, and he has been able to preserve this feature to this day. 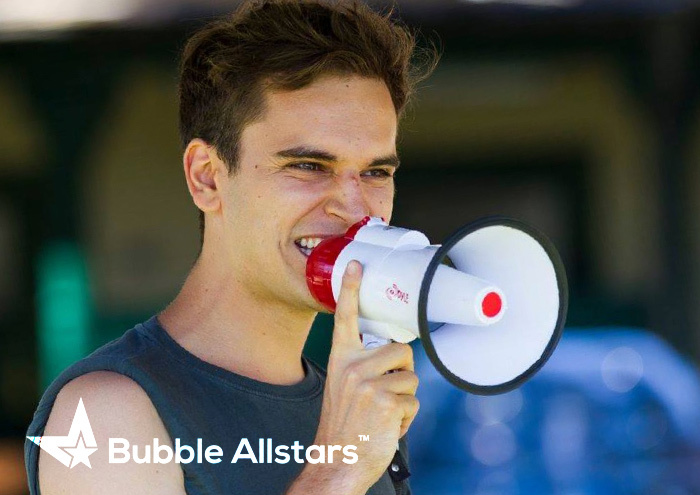 As a communicative guy, he not only leads the field, but also looks after our customers at Bubble Allstars with all his skills. Sports and business is a combination exactly according to his taste, especially when it is as much pleasure as with Bubble Soccer. And what is closer than supporting other bubblepreneurs on their way to launch. ...one bubble at a time"
Just write us - we will contact you immediately!